Multi axis innovations Has experience of More than 6 years of experience in CAD and BIM Industry. MAI has worked with International Clients for Multi D Projects and as lead the team. Trained fresh graduates in in BIM Modelling and developed skill of BIM modelers . Till Now he has trained and developed more than 500 Engineers/Architects. "The knowledge we get here with the interactions with experienced faculty is too good. I would prefer to get trained here only and getting placed to a good company is much more higher here. " "I've learned and worked in this company. Good faculties. Very good environment for learning. Those who worked here have very good future. " "The training was very successful and interactive, he helped to develop the confidence of individual by using hands on activities to bring out the best in us . His confidence and passion for what he was teaching came across well. The session was well delivered and engaging,pace was perfect and You were very knowledgeable. Thank you for the training sessions, I've found them very interesting and useful. " "I would like to express my sincere gratitude to this centre for conducting training on Revit Architecture and Structure. Excellent training and quality service. " 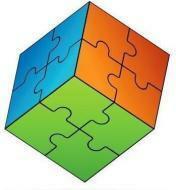 Multi axis Innovations conducts classes in Autodesk Revit MEP, Revit Architecture and Revit Structure. It is located in Rajajinagar, Bangalore. It takes Regular Classes- at the Institute. It has got 9 reviews till now with 100% positive feedback.